A new direct flight linking London and Nashville is an opportunity to soak up the atmosphere of three music cities. Nashville is country music, Tupelo is the birthplace of Elvis and Memphis has soul. You’ll need to hire a car, turn on the stereo and enjoy the drive. From Nashville, Tupelo is around four hours, then Memphis is another two hours. If you’re feeling more adventurous then follow the Mississippi River south, exploring the land where the blues began. Music City USA is still the capital of country music and bars and honky-tonks line downtown Broadway. There’s good music in the clubs and at the famous Grand Ole Opry. Elvis appeared on stage here early in his career and made many of his famous recordings at RCA studios. Celebrating its 125th anniversary in 2017, the Ryman Auditorium was originally a church and its seats are still as hard as any pews. It was the home of the Grand Ole Opry from 1925 until 1974 when it moved to a new venue on the outskirts of town. These days there are still concerts most nights and, in winter, the Opry moves back to its former home and broadcasts live. 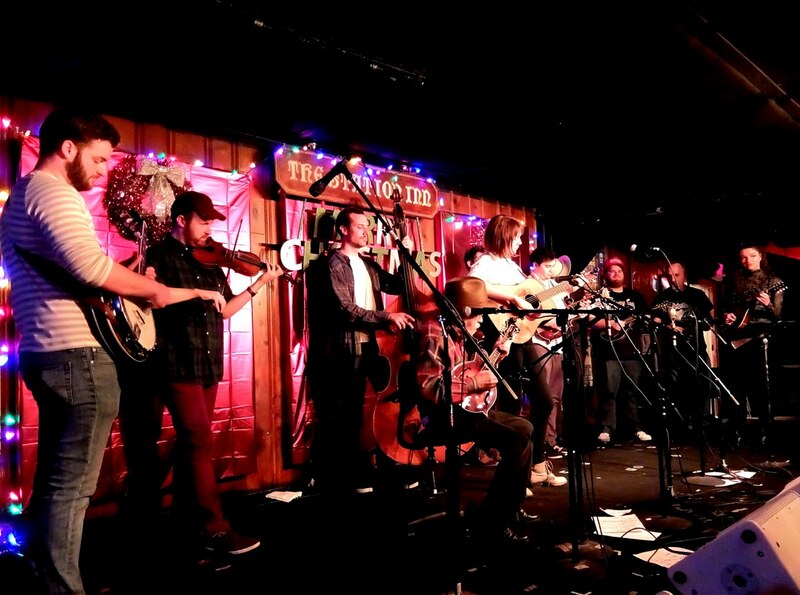 For more than 40 years, The Station Inn has presented great bluegrass, roots and Americana music. It’s a small unassuming venue in the heart of Nashville, an area known as the Gulch. Many of the world’s most successful musicians have played at here, including Bill Monroe, Vince Gill, Alison Krauss and John Prine. What’s great is that it sells beer and pizza at pub prices and the admission prices are low. After RCA bought his contract from Sun, Elvis started making money for the company and they built these studios in 1957, in part so he could record here. More than 35,000 songs were brought to life at Studio B, including over 260 Elvis recordings, 40 million selling singles, and more than 1,000 American hits – songs like Roy Orbison’s “Only the Lonely,” the Everly Brothers’ “Dream,” Dolly Parton’s “Jolene” and Elvis’s “Are You Lonesome Tonight?” A guided tour takes you round the studios, tells the story behind many of their greatest hits and you can even sit at the famous Elvis piano. They purchased 15 acres, including the house and renamed the road around it Elvis Presley Drive. Of course the original furniture was long gone, but from 1971, the East Heights Garden Club made it their business to duplicate the house’s contents. 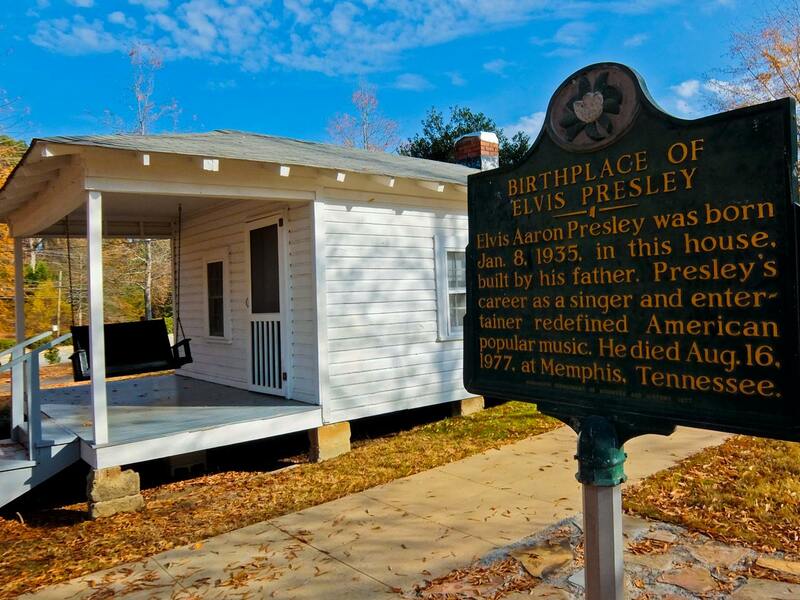 You can now see how it might have been when the Presleys lived here in the thirties in the Elvis Presley Birthplace. Although the house now sits in green parkland, there used to be other houses nearby. In 2008, the Assembly of God Pentecostal wooden framed church was moved here from a block away. 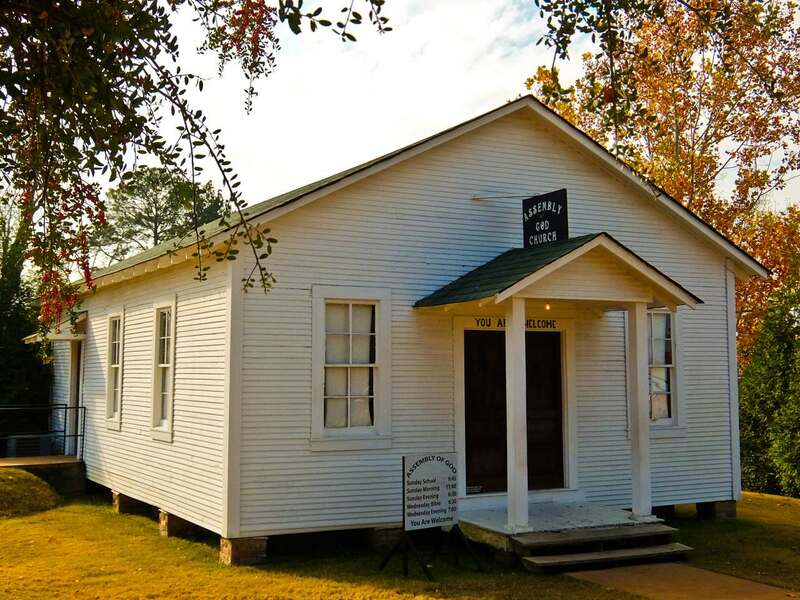 In this building, Elvis was first exposed to the rich Southern gospel that became a staple of his musical repertoire. Today, there are no live services, but instead a 15 minute multimedia recreation of a Pentecostal service from the 1940s. After being the undisputed capitol of soul music, Memphis went into depression after the assignation of Martin Luther King Jr. at the Lorraine Motel here in 1968. These days it’s undergoing something of a revival, with funky clubs on Beale Street providing non-stop live music, and a new Stax museum and Academy. Even Graceland, Elvis’s home for most of his working life, is expanding. 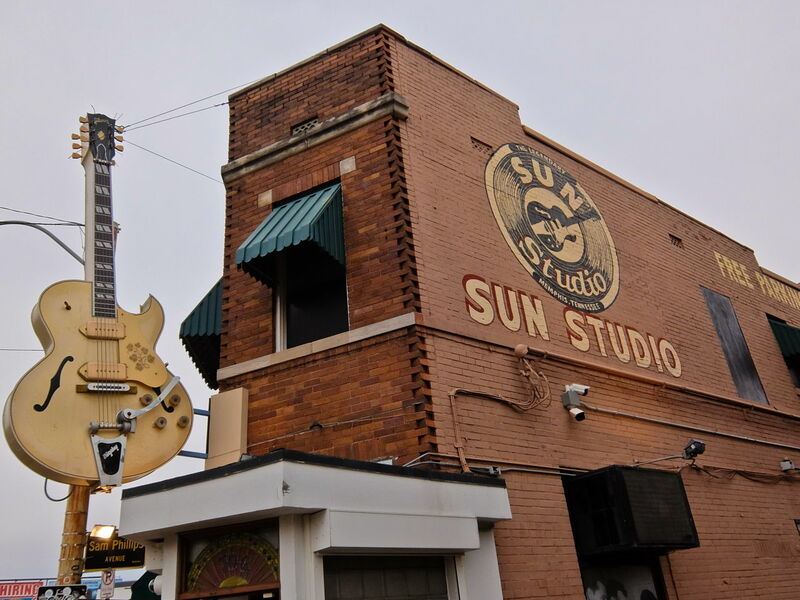 Sam Philips founded this tiny studio in an unassuming brick building in 1950, little knowing it would become the birthplace of rock and roll. Elvis paid to record his first tracks here in 1953, but Sam Philips called him back in 1954. The result was his first hit “That’s Alright (Mama)”, and there were five more over the next fifteen months. You can almost feel the star magic as Jerry Lee Lewis, B.B. King, and many others recorded here. It’s still a functioning studio, although in use only at night, as hordes of fans pass through during the day. 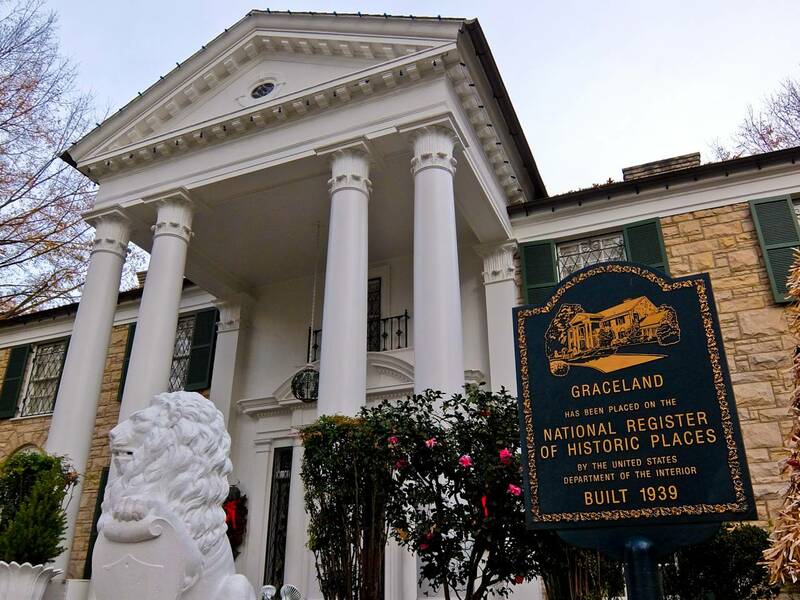 Thirty minutes from downtown is Graceland, the house that Elvis bought in March 1957 and occupied until he died. It’s a surprisingly unassuming property and even the furnishings, bearing in mind the excruciating bad taste of 70’s, are not too ghastly. Of course it’s been kept exactly as he left it, and you can see his parent’s bedroom, the kitchen, jungle room and basement den, although upstairs is out of bounds. Apparently his daughter, Lisa Marie, still makes use of it during festive occasions. 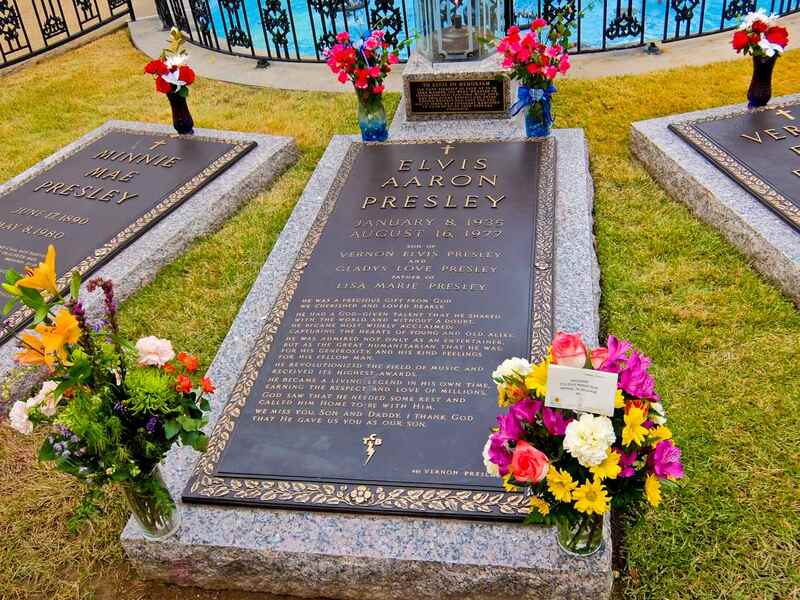 Elvis is buried next to his parents outside, at the foot of the swimming pool. Recently the land on the other side of the road has been transformed into a sprawling entertainment, retail, dining and exhibition complex, now named Elvis Presley’s Memphis . The highlight is the museum celebrating his music, movie and concerts, with hundreds of artefacts including a collection of suspiciously small jumpsuits. 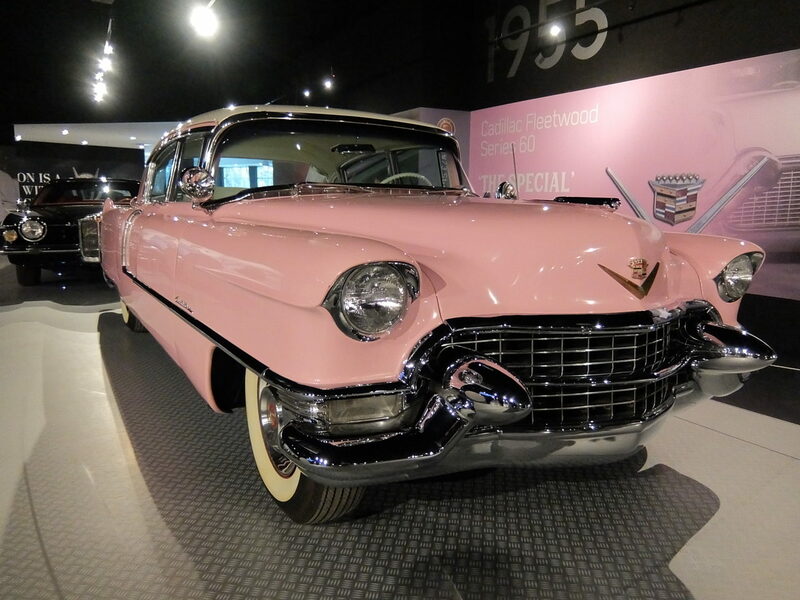 In an adjacent building Presley Motors contains over 20 of his cars, including the iconic 1956 Pink Cadillac Eldorado, plus golf buggies, go carts and even a lawn mower. In a separate area sit two of his private jets and you can climb aboard the Convair 880, which has Lisa Marie’s name painted on the fuselage. 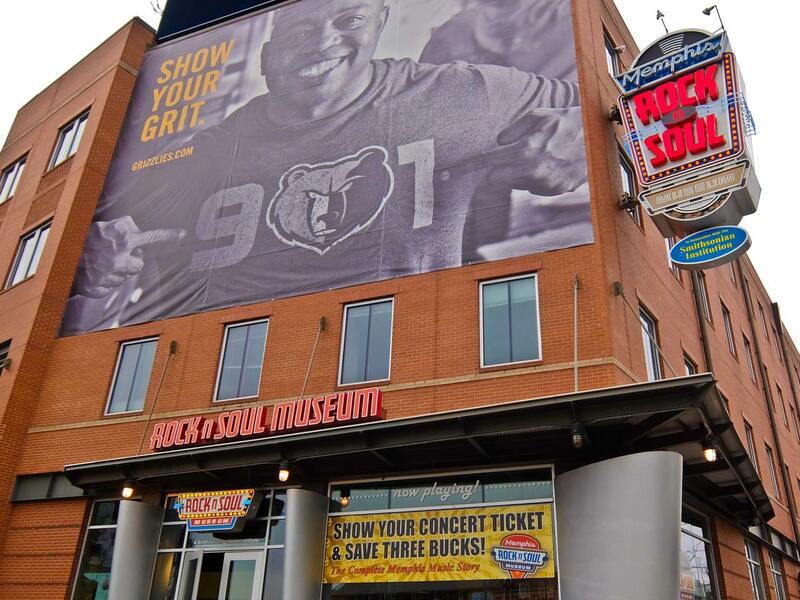 Memphis, of course, isn’t just about Elvis and the Smithsonian’s Rock ‘n’ Soul Museum brings its impeccable eye to the story of the three important revolutions in music that happened here. It takes you from the birth of the blues in the ‘20s, rock and roll in the ‘50s and soul music in the ‘60s. 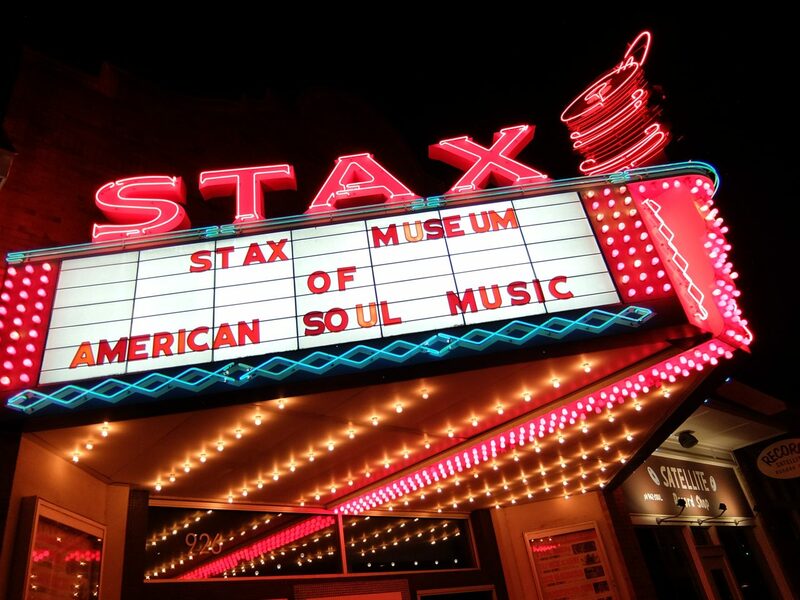 In another part of town, Stax Studios has risen from the dead and is now the Stax Music Museum of American Soul Music. It includes a recreated studio plus artefacts from the time and a well laid out display telling the history. Next door there’s the Stax Music Academy which nurtures young black talent and stages occasion concerts.